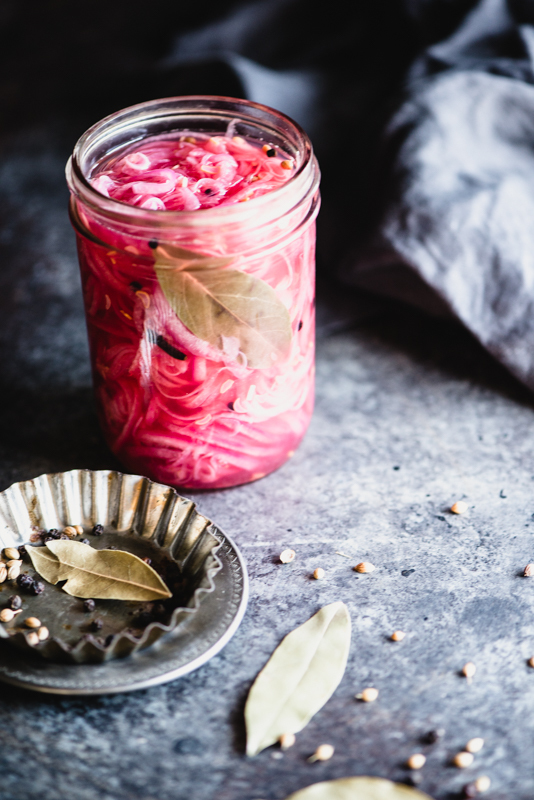 Quick Pickled Red Onions are a simple, zangy (that’s a made up word from my husband) addition to perk up just about any dish. 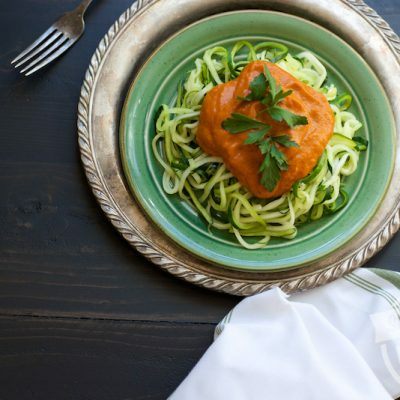 I try to keep my recipe posts less on the “Dear Diary” side (ha!) 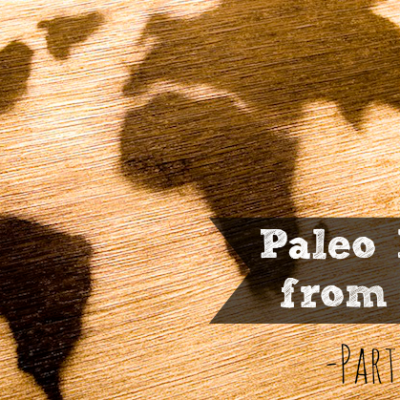 and more on the informative side, but did you know there’s a practical reason why bloggers don’t just post the recipe itself? It has to do with search engines, boring enough as it may sound. 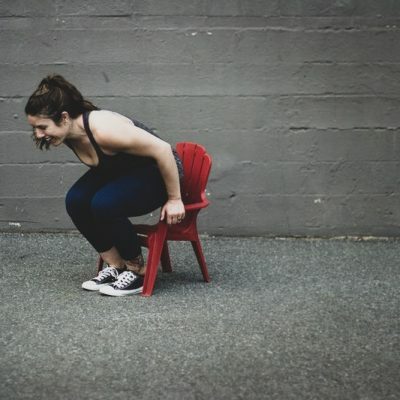 Basically, search engines like Google penalize what they deem poor quality content and reward “better quality” posts through a complex algorithm. It’s one of those games of “guess what we want you to do.” Not actually very fun. Generally that means that posts with fewer than 300 words are dead meat. If you dig far enough back in the archives (please don’t!) you’ll see I still have lots of 2011-era posts with less than 300 words. If I only knew then what I know now. So that’s the reason for all the small talk 😉 I promise it’s not to annoy you or keep you scrolling. Anyhow, let’s discuss this Quick Pickled Red Onion situation. I’ve loved sour, tangy, and pickled food ever since I can remember. 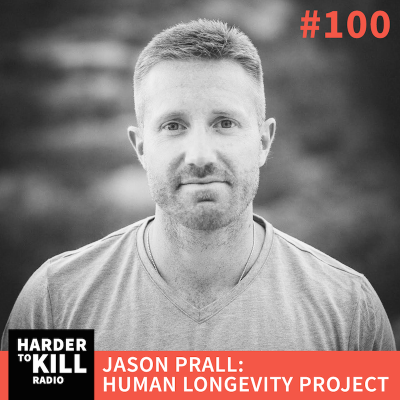 Normally I get my daily fix from fermented veggies – probiotics and gut health, for the win! – but every once in a while I throw together something pickled. 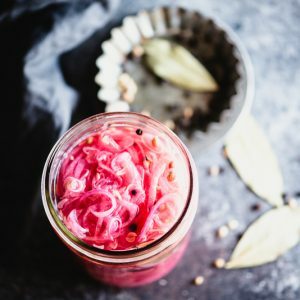 These Quick Pickled Red Onions add a punch of bright flavor to pretty much anything: eggs, tacos, pulled pork, salads, and wraps. I love red onion, but when they’re raw, they totally overwhelm my taste buds. Pickling them makes their sharpness mellow out quite a bit. And by quick pickling, they’re ready to eat in about 30 minutes…if you can wait that long. 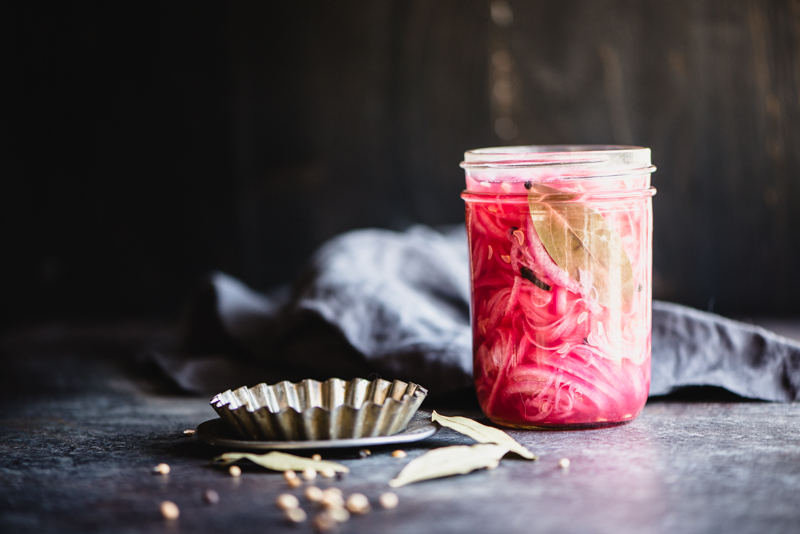 I like to use apple cider, red wine, or white wine vinegars for these pickled red onions. Also, I toss in some spices like whole peppercorns, whole coriander seed, bay leaves, and whole cloves. If you’re in a rush or you don’t have one or more of those ingredients, don’t sweat it. 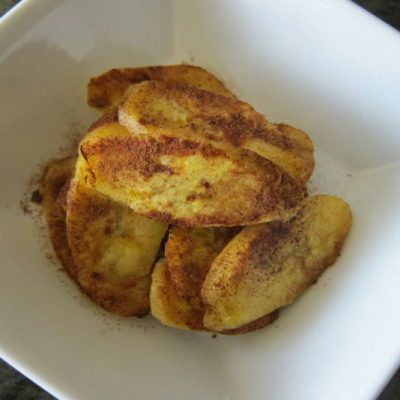 You can easily make this recipe with just the onions, vinegar, water, and salt. For best results, make sure your onions are thinly sliced. I use a mandolin (see the one I have) to make quick work of it, but a sharp knife will do the job, too. 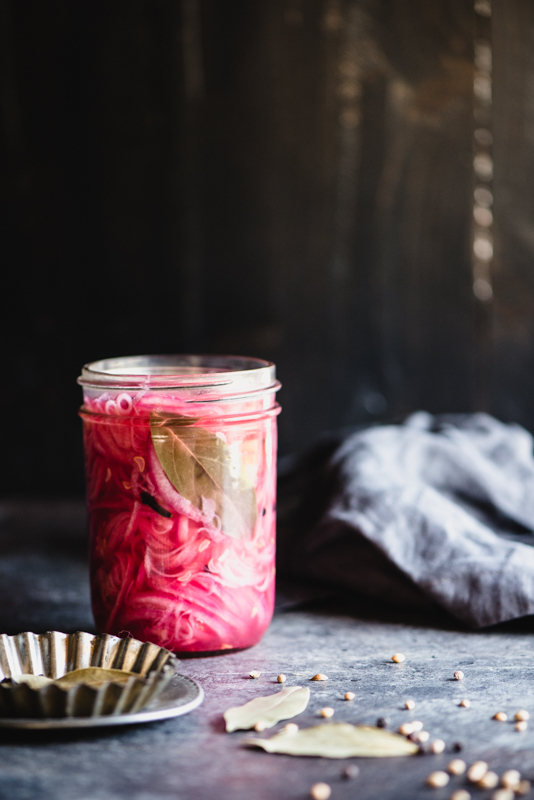 Your Quick Pickled Red Onions will keep for a couple weeks in the fridge. 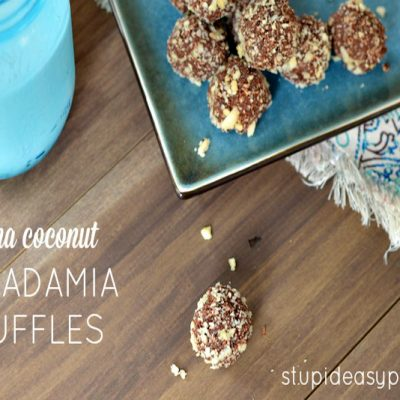 I toss them in a Mason jar, throw a lid on, and they’re good to go. 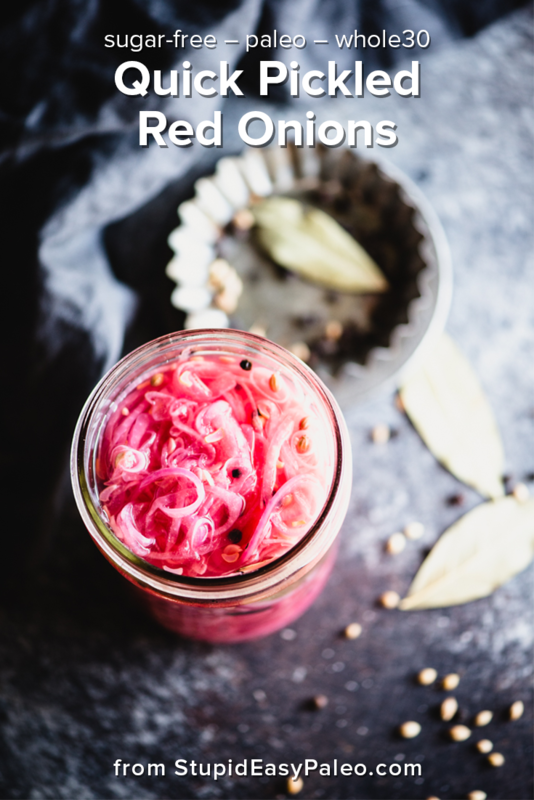 Pin this Quick Pickled Red Onions recipe for later! 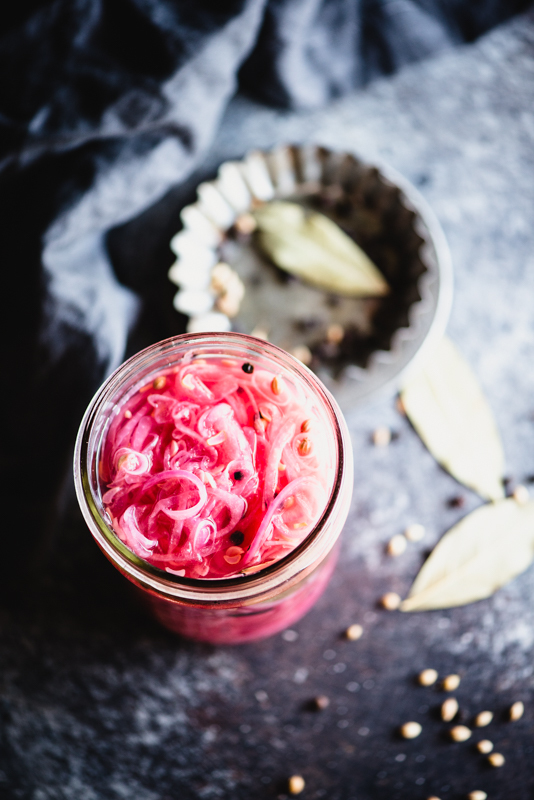 Pickled Red Onions add a zing of flavor to just about any dish. This quick pickle recipe is sugar-free, paleo, Whole30, and gluten-free and is ready in under 45 minutes. In a small pot over high heat, combine the vinegar, water, coriander seeds, peppercorns, salt, cloves, and bay leaf. Bring to a boil then remove from the heat. Put the sliced onions in a medium bowl. Pour the hot liquid (carefully) over the onions. Let them marinate for at least 30 minutes. Store in a covered container in the refrigerator for up to two weeks. I use this to slice the onions very thinly. What’s your favorite pickled veggie? Let me know in the comments below! I love theses! I used a big onion and tripled the liquid and I know I’ll eat the whole jar in 2 weeks! I’ve never been able to eat raw onion, I have stomach issues and headaches and this takes care of it. So glad I stumbled on this gem of happiness. Yay! I like your style, April! So happy you like them Margie! They add a nice punch!